The ACS Crossfire is a BMX freewheel that's stronger, less expensive, and easier to replace than a cassette. ACS has set the standard for freewheels for almost 2 decades! 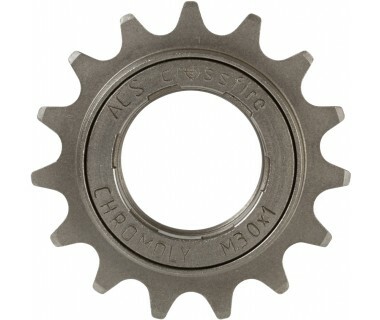 The ACS Crossfire Freewheel ratchets on a 3 pawl mechanism that engages 30 steps, or every 12 degrees. It fits 3/32" or 1/8" chains.